Getting through a long run or a marathon is both a physical and a mental struggle. Its takes days, weeks and, for some, even months to get into shape for an x-mile run. Preparing your body is just half the battle. Runners need to get their minds in the game as well. So what do you do when you think “I just can’t make it to the end?” If you want to do the last lap or hit the finish line, here are five mental tricks to propel you through the last mile of your run. You may be running a challenge for days and if just the thought of it overwhelms you, then break it down. For example, if it’s a 6-day challenge, think about the challenge in 3 rounds, two days each. Try to conquer one round at a time, instead of thinking about all the days at once. When you want to propel yourself through the last mile, just think about how much you’ve accomplished to get this far. Think about the time when you couldn't even run half a mile. And now? You are unstoppable. 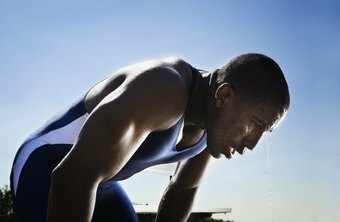 Don’t let the strain of the sheer physical aspects of your run beat you on the last mile. Think about how you’ll feel when you finish it - accomplished, right? Music is a powerful motivator. Find the song that encourages you to go on. Turn on the music when you feel you just can’t take another step. “I got this”! Go ahead and be your own cheerleader. You are your best friend and coach. When you verbalize confidence loudly, you are more likely to keep going and finish what you started.